As part of our commitment to promoting a sustainable natural world, Dee Amoré is a proud sponsor of the National Forest Foundation. Founded by Congress in 1991, the National Forest Foundation works with the U.S. Forest Service to care for the nation’s forests. 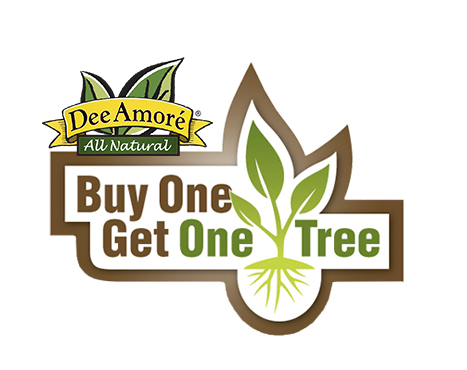 Through a collaboration with the NFF, we will plant one tree in a national forest for each purchase of a participating Dee Amoré product. To participate, all you need to do is complete a quick survey to verify your purchase. Later, we will email a personalized certificate stating that a tree was planted in your name.